DAVID LE/Staff photo. 6/7/15. 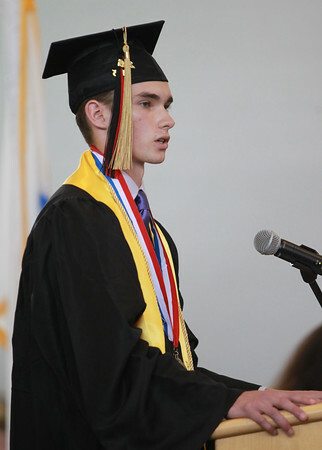 Marblehead High School Co-Valedictorian and senior class President Hillman Hollister delivers the President's Message on Sunday afternoon.